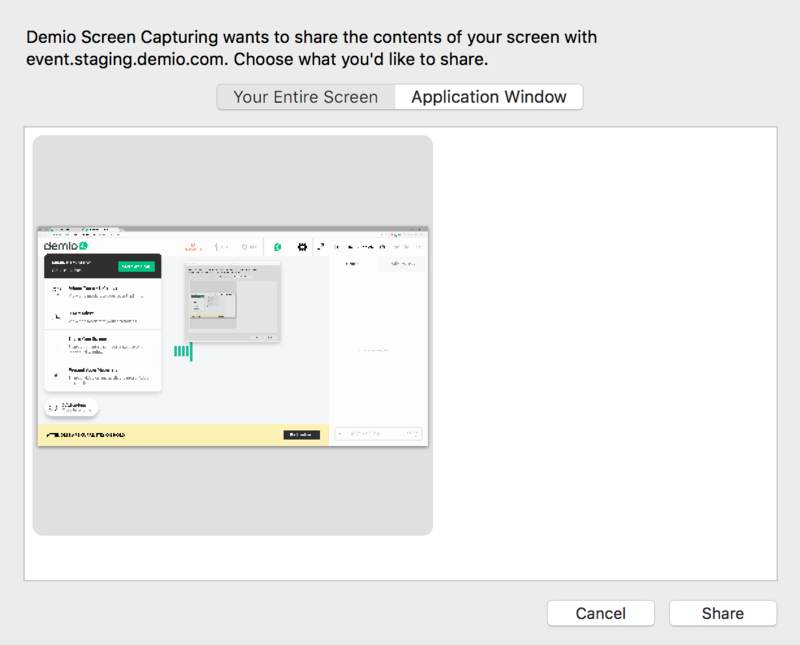 Screen sharing in Demio is simple, and anyone who has Presenter controls (Hosts/Coordinators) can share their screen. 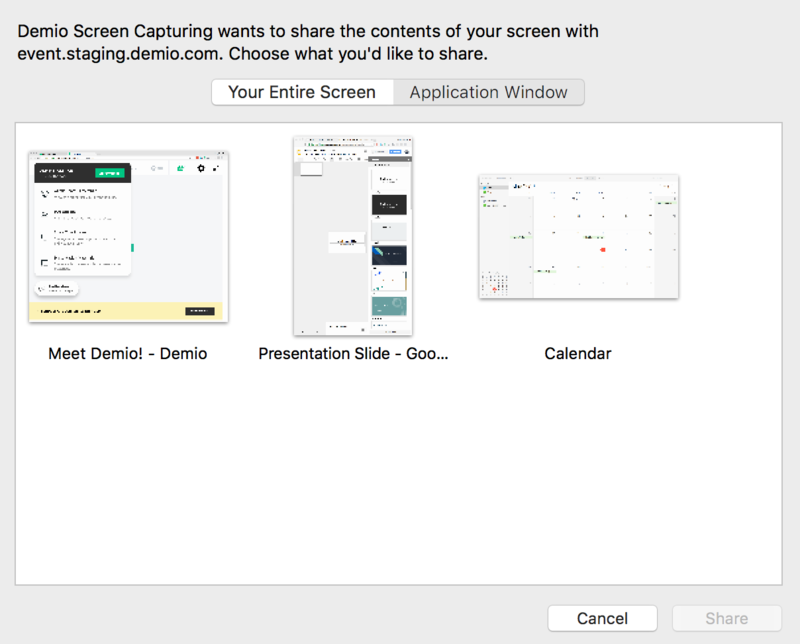 Note: If you plan on using screen sharing to share presentation slides, we highly suggest uploading them as a PDF to Demio as a Material. You'll see the Admin Backstage Panel appear with a few sharing options, including the ability to Share Your Screen. 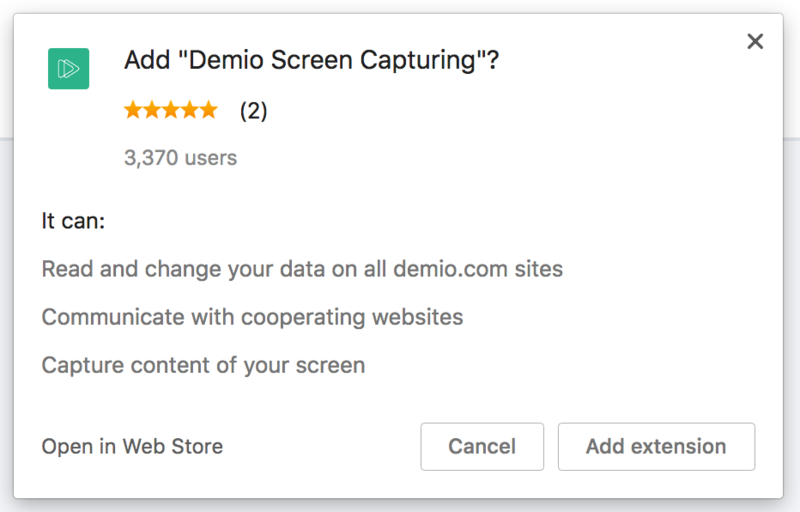 If you've never shared your screen before, you may need to install the extension first. You can also download the extension directly here. Simply click Yes, Refresh to complete the installation. 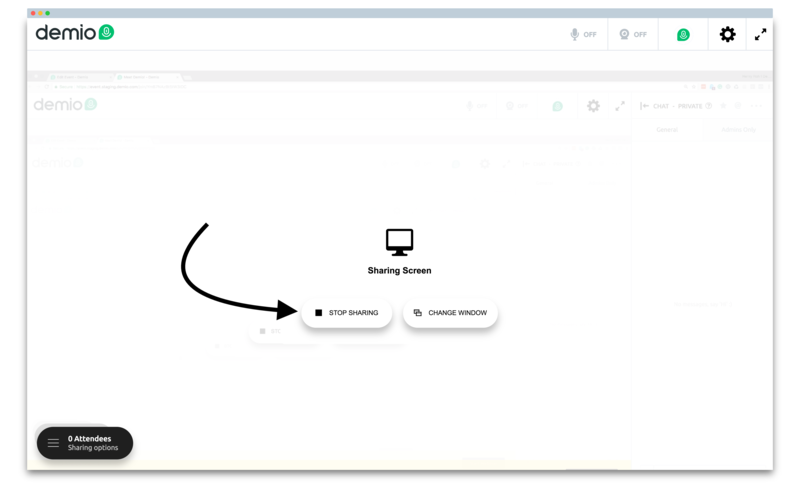 After the browser refreshes, you'll be ready to go, and you'll never have to install any additional plugins in the future. Once you've installed the extension, you'll be ready to start sharing your screen! You'll want to select Share Your Screen from your Sharing Options. 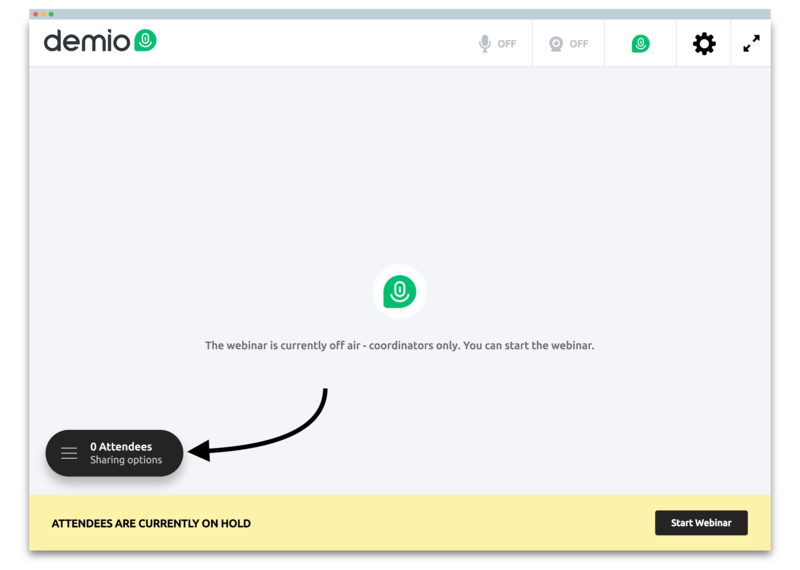 You'll be prompted with a pop-up modal which allows you to select exactly which screen or window you'd like to share. 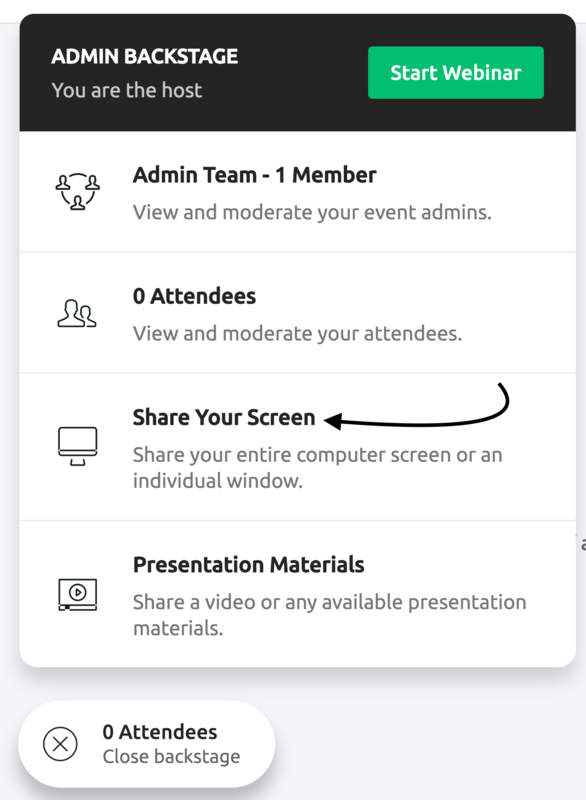 Note: If you share your entire screen, your Attendees will be able to see whatever you can see, including the Demio application. You can also switch between which window was being shared. While sharing your screen, you'll see a Change Window option that'll re-prompt you with the screen selection window. 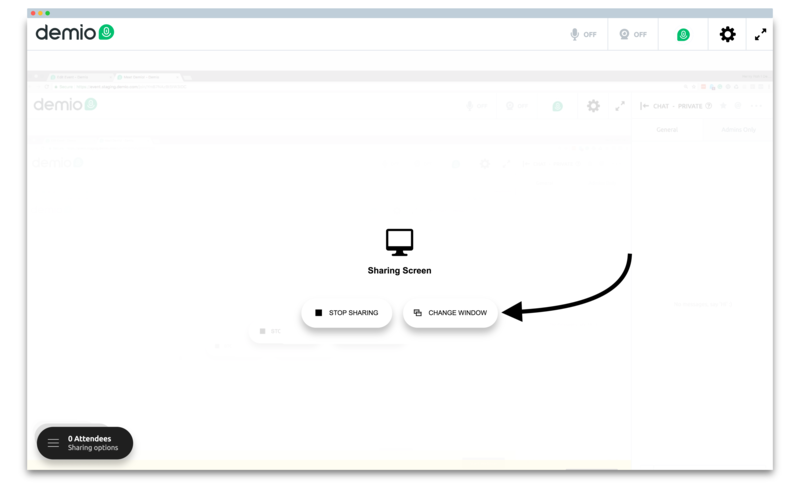 You will be able to select another application window or screen that will automatically stop the shared screen and start sharing the newly selected choice. To stop sharing your screen, simply click the same Stop Sharing option that appears above the Screen Share preview.